Construction Law - Attorney at Law - William Glenn Roy Jr.
Glenn Roy Law has years of experience assisting clients with all phases of construction, including construction contracts; construction management, construction loan agreements; mechanics liens; construction defect claims; impact claims and payment and performance bonds. Glenn Roy Law represents many different types of clients such as owners, contractors, subcontractors, material suppliers, and surveyors. 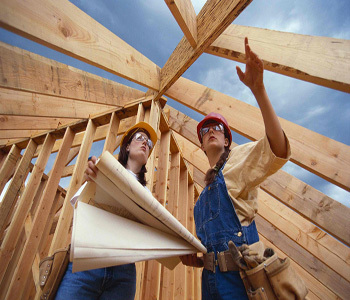 Our construction law practice is complimented by our real estate litigation and transactional work. Construction and engineering projects can ill afford to become bogged down by legal concerns. Glenn Roy Law assists in keeping construction projects on target. Mr. Roy has extensive experience representing a nationwide golf course construction company; large and small general contractors, spec builders, site developers, surveyors, equipment leasing companies, large landscape and trucking companies, That insight enables us to help suppliers, subcontractors, contractors, engineers, owners and architects anticipate and promptly address issues that can derail a deadline. Large land tract owners and single family homeowners are comfortable that Glenn Roy Law has the skill and experience to resolve contractor and owner disputes with the goal of timely completion of the construction project. When litigation is necessary, Glenn Roy Law has the depth and skill these cases demand. Mr. Roy has extensive experience litigating and arbitrating complex construction disputes. Glenn Roy Law brings and defends all types of construction claims on behalf of property owners, developers, contractors, subcontractors, construction managers, suppliers, manufacturers, design professionals, risk insurers and sureties. Glenn Roy Law also drafts construction contracts, construction equipment leasing and supply agreements; and helps design and implement dispute resolution procedures; and counsel clients on the management and avoidance of construction claims and disputes. Mr. Roy often represents contractors in surety action on public construction projects.